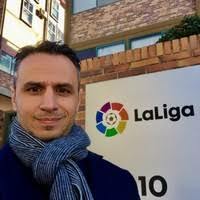 LaLiga’s top executive in Asia, Ivan Codina, will be one of the international speakers gracing the much anticipated ‘Business of Football - Philippines’, a one-day conference, sanctioned by the Philippine Football Federation (PFF) and organized by MMC Sportz, set to take place on Friday, May 18, 2018, at the New World Makati Hotel. LaLiga has also appointed a full-time representative in Manila since February this year “As with our internationalization strategy, we are adopting a glo-cal approach - using our global experience to help develop the standard of football in the Philippines, and expertise to tackle any local challenges. We seek to position ourselves as a source of entertainment for the PH fans and engage them with public viewing events and other activations to enhance the entire LaLiga Experience”, adds Codina. Other top-notch speakers include AFC Head of MA Services Domeka Garamendi, SMG Insight Managing Director Frank Saez, The Azkals Team Manager Dan Palami, Globe Director for OIC, Citizenship and Advocacy Marketing Miguel Bermundo, Philippines Football League CEO Lazarus Xavier, Philippines Football Federation General Secretary Atty. Edwin B. Gastanes, Azkals Team Captain Phil Younghusband, Asian Replica Designs Founder & Owner Jonathan Mallinson, Quorum Group President & COO Jose S. Claudio, Jr. and MMC Sportz CEO Eric M. Gottschalk. The event is organized by MMC Sportz Asia, best known for delivering the foremost annual SPIA Asia - Asia’s Sports Industry Awards & Conference (www.spiaasia.com), recognizing and celebrating Asia’s top achievers within the sports industry. The conference will cover topics such as ‘State of Football in the Philippines’, ‘LaLiga’s Football Development Strategy in South East Asia and Philippines’, ‘The PFL Franchise System’, ‘Why Brands Should Get Involved – Sponsorship Opportunities in Football’ , ‘Asian Cup 2019 -What’s next for the Azkals’, ‘Asian Fan Index – Digital Football Consumption’, ‘Youth Football Development & Academies’, ‘Sports Retail Dimension in the Philippines, ‘The Role of Media in Football Development’, ‘Careers in Football’, among others. Organized by MMC Sportz Asia, the event is sanctioned by the Philippines Football Federation (PFF) and sponsored and supported by La Liga, Dentsu, SMG Insight, RSportz, Globe Telecom, Toby’s Sports, Manila Times, New World Makati Hotel and Platinumlist. Delegate passes are available online at Platinumlist (The Business of Football - Philippines) and priced at P2,750 for delegates and P1,500 for the student pass. MMC Sportz Asia Inc. as part of the Dubai based MMC Sportz Marketing LLC, is a Manila-based sports marketing agency with clear focus on providing specialized marketing and communication solutions to governing bodies, federations, rights holders and brands within the sports and entertainment to the Philippines. Current and past projects include the current roll-out of “My PFF” the Philippines National Football Player Registration system, the staging in 2015 the inaugural SPIA Asia – Asia’s Sports Industry Awards & Conference, and the inauguration of the International Premier Tennis League (IPTL) in 2014.